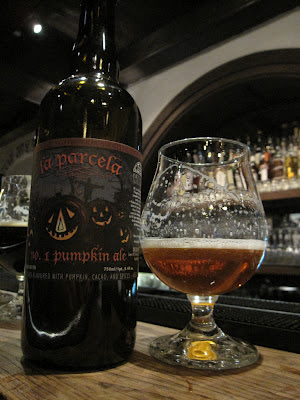 One of the best things about fall: the return of Jolly Pumpkin's La Parcela Pumpkin Ale. Photo: Flickr user Bernt Rostad. It’s officially sweatshirt and long pants weather (well, unless you’re one of those people who wears shorts and t-shirts in January), and the fall festivals and harvests and celebrations continue apace. 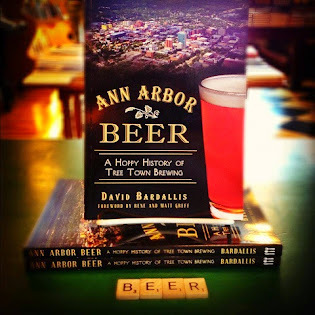 Great beer also continues to be a big part of it all, and although I’ve already talked before about some of these events, there’s always more going on in and around Ann Arbor, which in my totally unbiased opinion remains one of Michigan’s awesomest spots for quality brew. 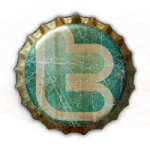 See if you don’t agree after reading up on the great goings-on in your latest Week in Beer. » Regular readers of this column, and astute beer lovers generally, have long been tuned in to the happy hours at the Whole Foods Market at Cranbrook. Now Ann Arbor’s other Whole Foods Market, 3135 Washtenaw, is copping to our amazing beer scene with a “Meet the Brewer” event from 4-7 p.m. featuring Oliver Roberts and Karl Hinbern, brewers at Wolverine State Brewing. Come by the Specialty Department to try samples from the vanguard of the Lager Revolution, ask questions, and otherwise enjoy the fact you’re drinking beer in a freaking grocery store! » Get thee to Washington St. in downtown Ann Arbor, where the blocks on either side of Main St. will be cordoned off for the annual Oktoberfest celebration. From 5 p.m. to midnight, Arbor Brewing, 114 E. Washington, is serving up their fresh brews and brats (with vegetarian options, too) as the Rhinelanders provide live oompah music. On the other side of Main, Grizzly Peak, 120 W. Washington, hoists the beer tents, brings the live bands, and serves savory treats from the Grizzly and Blue Tractor BBQ & Brewery kitchens. Beers include Oktoberfest Lager, Draconus Belgian Strong Ale, Berliner Weisse, and Pale Ale. A portion of the proceeds from the Grizzly side goes to benefit the University of Michigan Comprehensive Cancer Center. And come back on Saturday when it happens all over again. Ein prosit! » It’s Pumpkinfest time in downtown South Lyon! What’s that mean? I think it has something to do with pumpkins. 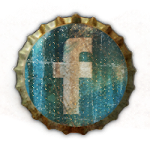 But more to the point of this column, there is a Pumpkin Garten Food and Beverage Tent, and that tent will be pouring the delicious brews of Witch’s Hat Brewing, including Train Hopper IPA, Hyppie Girl Blonde Ale, and the brand-new Spiced Pumpkin Porter. Entrance is free to the tent before 5 p.m. (a $3 cover charge, which funds the Pumpkinfest, applies from 5-11) and all day Sunday. For more information on pumpkins, live music, craft shows, and other festivities, check out southlyonpumpkinfest.com. » Hit the road to Roger Monk’s (formerly the Lord Fox), 5400 Plymouth Rd., for the Fall Harvest Beer & Wine Tasting from 1-4 p.m. Brews from Bell’s, Founders, Arcadia, New Holland, Flying Dog, and Stone Brewing will be pouring, along with that other beverage made out of grapes. Tickets are $40 and include 12 tastings, appetizers, and entry into a prize drawing. A silent auction and 50/50 raffle add to the fun, which benefits March of Dimes. Call Elise at 734-239-3639 for more information or visit rogermonks.com. » Today is a good day to make the trip down to Milan and Original Gravity, 440 County St., as Oktoberfest kicks off at 2 p.m. with a spread of smoked sausage, German potato salad, sauerkraut, and pretzels as well as Old Skool Altbier, Shinebox Dunkelweizen, and small batches of Vienna Ale, Smoked Dunkelweizen, Munich Helles, and Sticke Alt. Polka music and dancing are part of the fun beginning at 5 p.m., courtesy of the Sounds of Germany Band. » Here at All the Brews, you know we love us some Michigan beer. But sometimes it’s okay to go outside the state for a fix of something a little different. Ashley’s agrees, and if you do, too, you’ll want to pop over to 338 S. State at 6 p.m. for a special tapping of Unibroue beers, all the way from Chambly, Quebec. Five different kegs include Eau Benite (French for “hey, it’s beer”), an awesome Belgian style tripel ale. Yum. » Brewer’s Night returns to the Grizzly Peak Den from 6-9 p.m. Head brewer and all around good guy Duncan Williams will be there to give tours of the currently expanding brewery while you enjoy beer specials and a glass from the cask of Funky Bear Porter, a wood-aged version of the regular Bear Paw Porter. » A short road trip away is a New Holland tap takeover at Spirits Restaurant & Lounge, 2111 Rawsonville Rd., Belleville. All 12 taps will be dedicated to New Holland’s finest brews, including a keg of Dragon’s Milk on nitro. New Holland rep extraordinaire Jimmy Alcumbrack-McDaniel will be on hand to answer questions and generally be awesome, because that’s what he does. Best of all, from 4-7 p.m. beers are just $3 a glass. Which all adds up to you calling in that designated driver favor from a friend who owes you one. Appetizers are also half off all night, so soak up all that beer with something just to be extra safe. Beer dinners! You love them, which is a good thing, because they’re everywhere these days. Two are coming up on October 17: In Ann Arbor, Grange Kitchen & Bar, 118 W. Liberty, is offering a five-course harvest-themed feast paired with libations from New Holland Brewing, including their new Beer Barrel Aged Bourbon, aka whiskey aged in barrels used to make Dragon’s Milk. Tickets are $55 excluding tax and tip; call 734-995-2107 or reserve online. Up in South Lyon, Lake Street Tavern, 127 E. Lake, is also hosting an October 17 five-course beer dinner, brewery TBD. Tickets are $40; call 248-446-8898 or check Lake Street’s Facebook page for updates. It won't be long before the Chelsea Alehouse joins the area's beer scene out in — where else? — downtown Chelsea. Tarryl Jackson of MLive.com has the latest on the brewery's progress. One of the bestest pumpkin ales anywhere ever (at least if you like sour beers) is officially out! Pick up a bottle of this year's edition of La Parcela No. 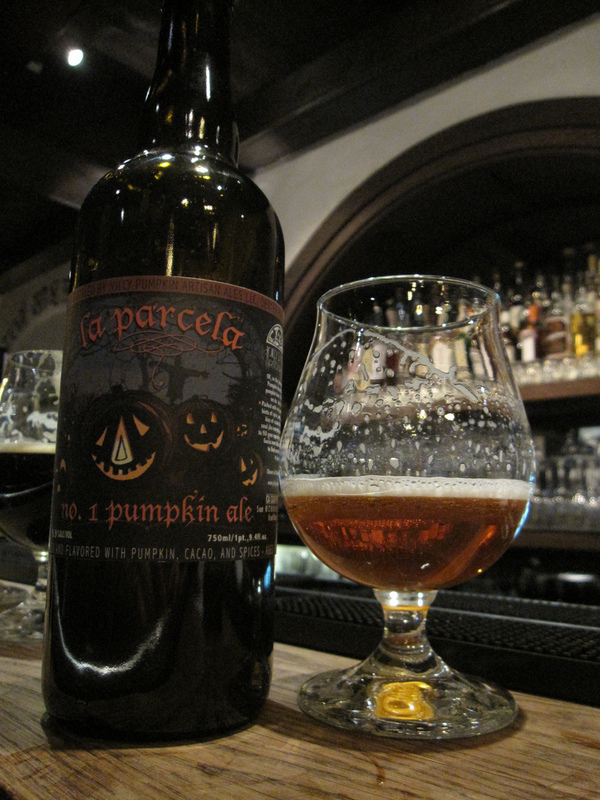 1 Pumpkin Ale at Jolly Pumpkin Cafe & Brewery, 311 S. Main, or look for it on the shelves wherever fine beers are sold.